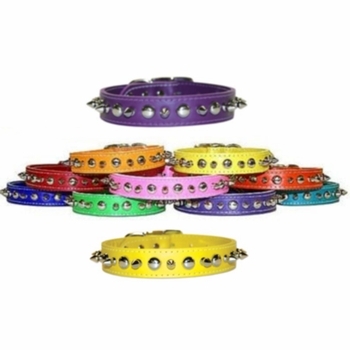 At this sale price this leather dog collar is only available in the sizes and colors listed. The #6081 is 1 inch wide and available in size 22, 24 and 26. For correct collar size measure your dogs neck. Size 22 will fit a dog with a 15 to 18 inch neck. Size 24 will fit a dog with a 17 to 20 inch neck. Size 26 will fit a dog with a 19 to 22 inch neck.